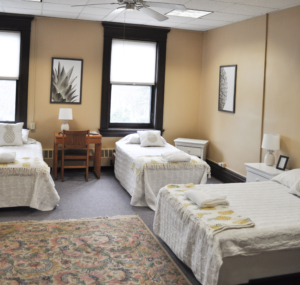 Carondelet Center offers two guest rooms, rooms 203 and 204, for overnight stays on the second floor of Carondelet Center. Each room features three single beds and a desk. A two-stall lavatory room and separate four-stall shower room with handicap accessibility are across the hall from the guest rooms. A kitchenette on the second floor features a refrigerator, microwave and coffee. 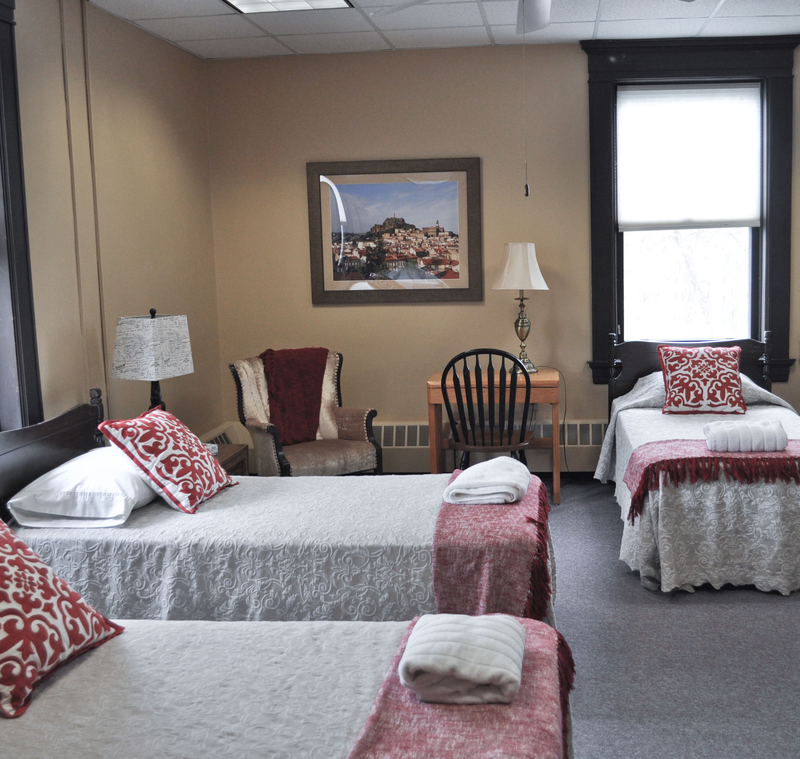 Overnight Guests can bring in small meals, beverages and snacks. Guest room check in: 12:00 p.m. to 4:30 p.m. Guest room check out: 11:00 a.m.
Payment is due upon check in. Cash, Credit Card or Checks are accepted. Reservations may be cancelled up to 72 business hours before check in (12:00 p.m.).